Ubisoft delivered. There was enough here for me, and enough hype moments. As ever a live dance performance advertises Just Dance at the beginning. The Division 2 has raids and three DLC’s that are free for everyone. The VR game Transference was here, and For Honor was talked about for it’s new expansion and the fact they are allowing the PC version to go free until 18-June. Rainbow Six: Siege was also here but exclusively as eSport material. A documentary following eight players was shown off. Assassin’s Creed: Odyssey had quite a bit of focus with some gameplay. And with that, we can get to my hype. And oh, I cannot think what to mention first. I suppose I can get the racing games done. The Crew 2 gets an open beta a week before it releases, with it available to pre-load now. I’d already excited about this, but being able to explore the world again a week before release. 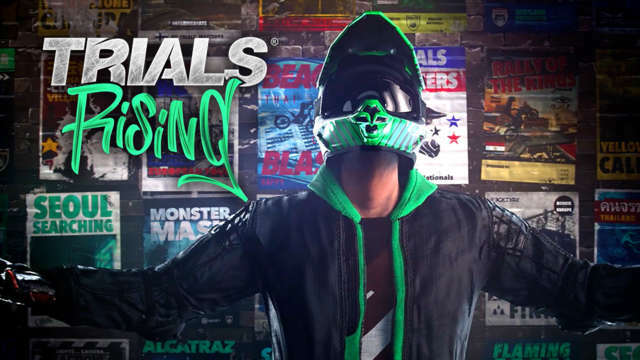 A surprise of Trials Rising made itself known, and it’s coming to the Switch. While I haven’t played any of the games, I do follow what they are about, and this looks to be a good point to join in. It’s dated for February’19, and there’s a closed beta coming soon. It’s also coming for PS4, Xbox One, and PC, so no-one is left out for this release. While I don’t have Mario and Rabbids: Kingdom Battle, I have been interested in getting it. Strategy is something I can have fun with, and having seen it in action last year at Nintendo’s Treehouse Live, I haven’t a clue why I didn’t jump in. But the hype increases with the announcement of the Donkey Kong Adventure expansion. The content itself was fine, but Ubisoft went and got Grant Kirkhope a group of musicians and allowed him to live score the trailer. That is what brought the hype, though seeing more comic antics in the trailer did help. I’d say now is definitely the time to jump in with this one. If I ever get time to with all these other releases. Skull and Bones featured and looked very different from last year, proving to be more than just an arena fighter in pirate ships. Commanding a crew, you outfit your ship how you see fit ready to go out to the open waves and track down a bounty from AI controlled enemies. You can scout out and call on other players to help you, as successfully raiding the AI will bring more powerful foes to track you down. But those players who help you can also turn against you. It certainly brings the action to the pirate world, and I’m ready to see more. Beyond Good and Evil 2. How stunning you look. How you built hype with that cinematic trailer. It’s certainly looking to be a good game, and it gets one better. Hit Record is a program allowing the community to help with the game, collaborating with the developers on a range of things within the game. There’s a lot within the website, and it’s worth a look just to get involved. For me, though, I’m just happy to see more of the game and get a better understanding of this world. 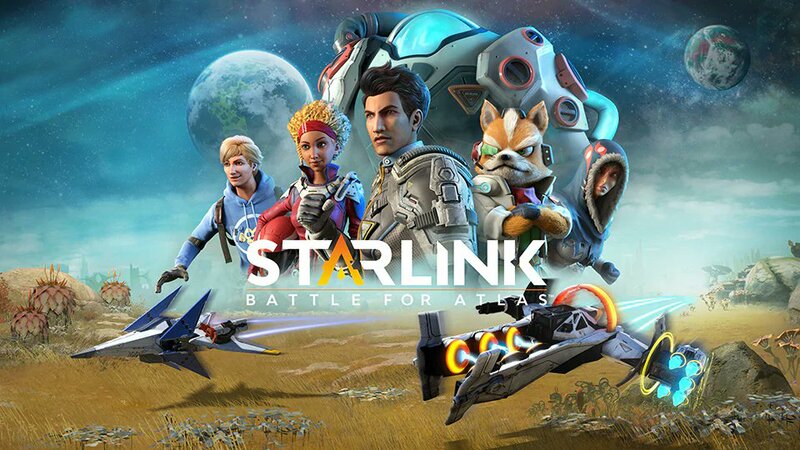 Speaking of worlds… Starlink: Battle For Atlas brings a lot of exploration. It brings a story of the usual explorative sort. It brings Star Fox into the battle. Did… Did I just say that? Oh, yes. The second crossover between Nintendo and Ubisoft is Fox McCloud in the Switch version of Starlink. The gameplay we saw looks smooth with the worlds looking great and diverse – even in space. The action also looks to be fun, but Fox joining the fight was the real surprise and highlight. With the Ubisoft conference over, for me Nintendo now take the spotlight for both their Direct in the morning and the Treehouse Live content throughout the three remaining days. And while a Square-Enix conference did take place, I didn’t feel I had enough content to really make a separate post a necessity. A paragraph within the post-E3 section will be more than enough. There has been enough hype over the last two days, and with Sony taking to the stage later on, there’s bound to be more reveals before Nintendo take their turn.